A bold option to divide rooms using two or more mobile frameless glass panels mounted at 90º, with or without glass sidelites. 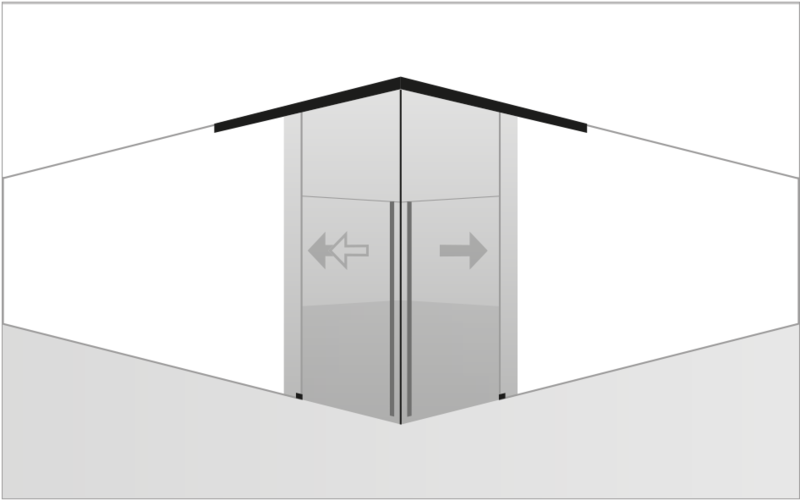 Synchronized opening and telescopic (or not), depending on the chosen option. Mounting options: Wall, standard or dropped ceiling. Greater clearance and contemporary look. Sliding frameless corner door made of four synchronized telescopic glass panels at 90º with sidelites. Ceiling mounted. Recessed or exposed profile. 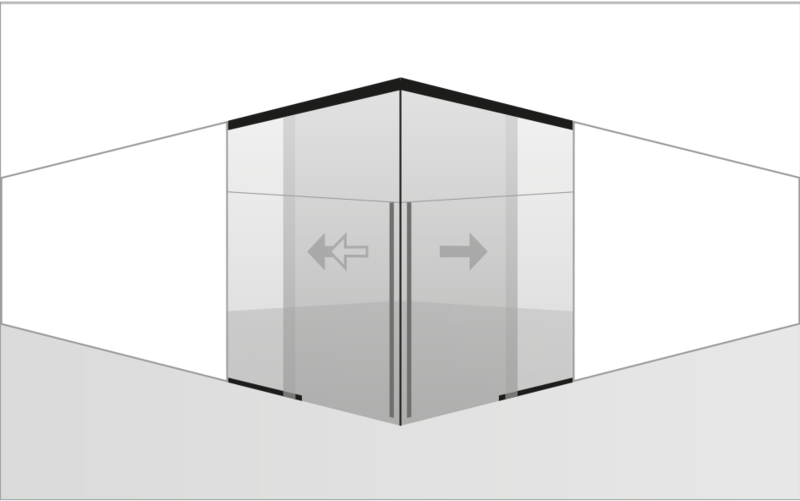 Sliding frameless corner door made of two synchronized telescopic glass panels at 90º. Wall mounted. Sliding frameless corner door made of four synchronized telescopic glass panels at 90º. Wall mounted. Recessed or exposed profile. Sliding frameless corner door made of two synchronized telescopic glass panels at 90º with sidelites. Ceiling mounted.